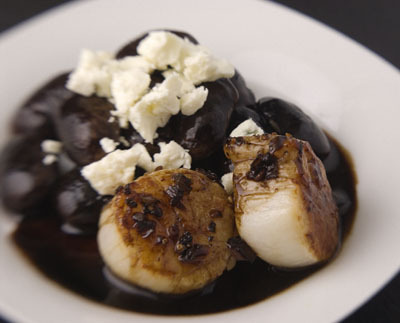 There’s little that comes from the sea that I don’t love, but scallops are a particular fave, and their fresh, sweet, slightly briny flavor is always a delight, whether seared, sautÃ©ed, grilled, fried, or in a ceviche or crudo. 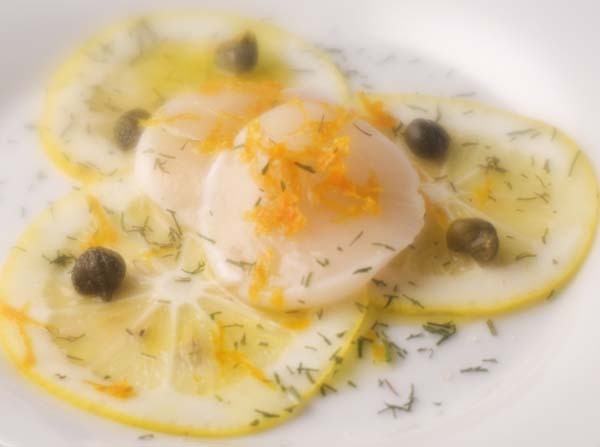 One especially elegant approach is to serve them as a carpaccio, and that’s what this is. Sort of. Like most seafood, scallops get along well with citrus, but it’s easy to go too far. Even in a ceviche, too much time in too much lime can easily overwhelm their delicate flavor, so it’s important to approach them simply, and with a light hand. 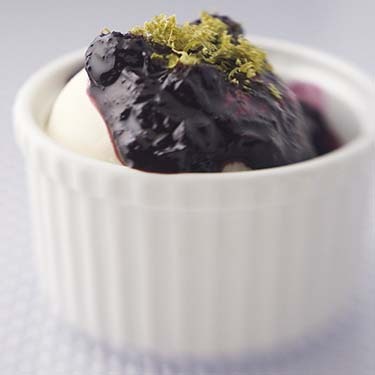 Here, for that reason, the lemon is prepared separately in advance, sweetened and preserved by the application of a little sugar, a little salt. The scallops, sliced and lightly marinated with fresh orange juice, are served on top. The combination is fresh and delightful, making a wonderful little amuse bouche for a seafood supper. 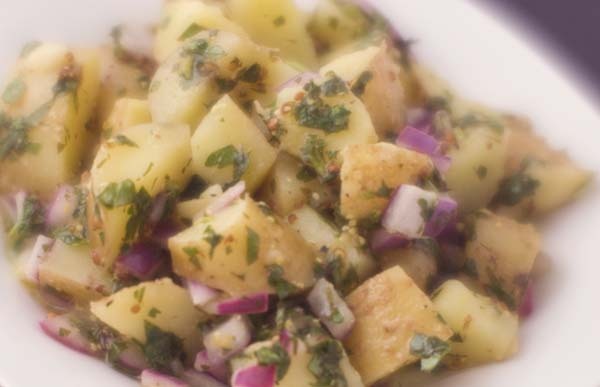 There are well over a million potato salad recipes on the net (seriouslyâ€”I looked), so why am I publishing another one? Simple. This one brings some exciting flavours to the party, is healthful, vegan friendly, delicious and versatile. It can be put together quickly and served warm with a casual supper, or chilled for a picnic. I use habanero chiles in the recipe because of their beautiful fragrance and delicious fruity flavors, but others could be substituted if these aren’t available, or are just too pungent for you. If you’re really a chile-wimp, you can leave the chiles out entirely, but a little spice really wakes things up. You can also add red or yellow bells to the basic recipe, and if fire-roasted, they add a delightful smokiness. Campanelle, little bells, are just so much fun, but even better than that, their funnel-like shape hangs onto a lot of this sugo fresco, so every bite will be a little explosion of fresh flavors. Campanelle are also sometimes known as Gigli, (lilies). 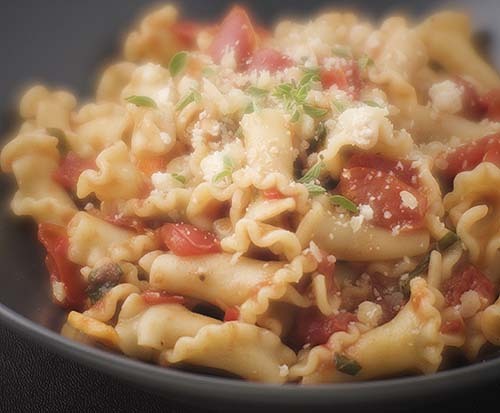 If you can’t find campanelle, use fusilli or any pasta corta, like ziti, penne, or mostaccioli. I’m sure I don’t have to say this, but I will anyway, just in case there is one single reader holding out for “convenience” at the expense of flavor and aroma: Throw away the jar (or, worse, the tin) of pre-ground pepper that’s been sitting on the shelf since great aunt Maude gave it to you as a house-warming present when you got your first apartment. It was as useless as a unicycle to an earthworm when it was “fresh,” and after it had seen the dawn of the new millennium, it became even more so. Bin it. Buy a decent pepper mill, some fresh peppercorns, and never, ever look back. Really. There are plenty of summer weekends left ahead of us, so the opportunities for getting outside to cook are plenty. 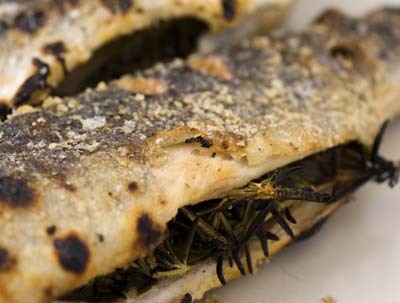 Grilled trout is one of those things that I love, but after a while, we’re all looking for ways to give it a little more gusto. Here’s one. 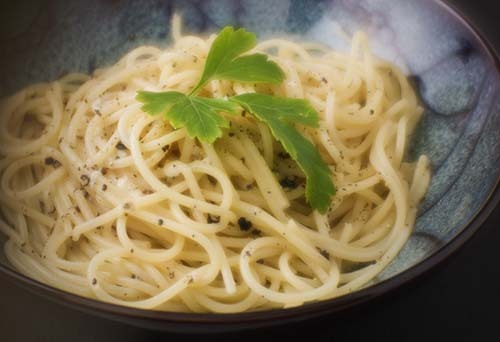 It’s quick, simple, and best of all, absolutely delicious. Start with beautifully fresh, cleaned and scaled trout, with the heads on so you can see their still-bright lil’ eyes. And, if their eyes are not bright, find a fish monger who isn’t trying to sell you Tuesday’s fish on Friday. Figure on one fish per person. Rub the cavities with a little garlic, then season with a little squirt of lemon juice, and some freshly ground black pepper, and stuff them with a few sprigs of fresh rosemary. Then, massage the fish, front and back, with olive oil, and crust with coarsely ground sea salt. The salt will actually seal the juices in, season the flesh, and help keep the fish from sticking to the grill. Then, lift the fish carefully, and rotate them about 60Ëš, and sear, covered, for another minute or so. We’re looking for a nice grill tattoo. Turn the fish over, and repeat. 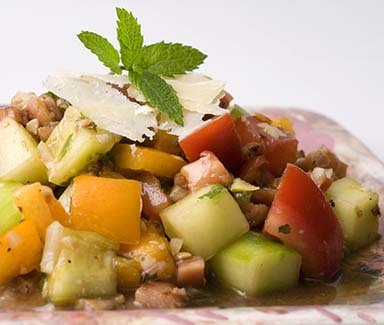 Serve with a side of polenta and a Minted Cucumber and Tomato Salad for a lovely summer supper. Enjoy! Every summer, it happens. Someone you know arrives at your door with an immense paper sack and a terrifying story to tell. Their soil is really rich, they explain; they’ve been cultivating it and amending with all the compost from the kitchen scraps and chicken coups. The weather has been especially good, you know. And, they forgot to prune before going on holiday, and the plants went totally out of control, stimulated by freak sunspot activity and increased gamma radiation from ozone layer depletion. And, their kid just discovered these while retrieving the dog’s ball after it had been thrown into the green danger zone where Fluffy won’t wander for fear of being devoured herself. Yes, it’s the attack of the giant summer squash, the immense zucchini and yellow crooknecks that are almost apologetically presented to every co-worker, friend, and neighbor that can be reached by bicycle-drawn wheelbarrow. 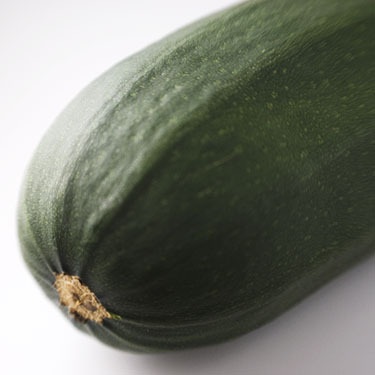 And, now, the zucchini that ate Cleveland sits menacingly on your kitchen counter, staring at you relentlessly with its unblinking green eye. What to do with it? Cooking, eating, entertaining should be fun. For all the fuss, for all the serious talk about celebrity chefs, competitions, all the haute couture in food that’s dominating the media, it seems that a lot of people may have forgotten that what really matters is that we have fun in the kitchen, and at table. And, what’s more fun than a little surprise? So, when some friends were coming to dinner the other night, I figured I’d surprise them with something fun and simple for dessert. 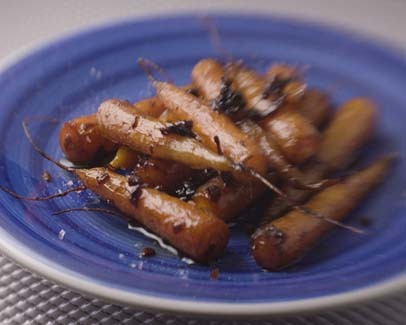 This time of year, early summer, at least that what it seems to be here in California, the local farms are providing bunches of young carrots that are tender, sweet and wonderful, But, it’s not always easy to come up with fresh and delicious ways to present them. Judy Witts Francini's "Over a Tuscan Stove"
Steve Sando's "Rancho Gordo Experiment"
Taylor Cramm and Rick Erikson's "Old School New School Wine Blog"